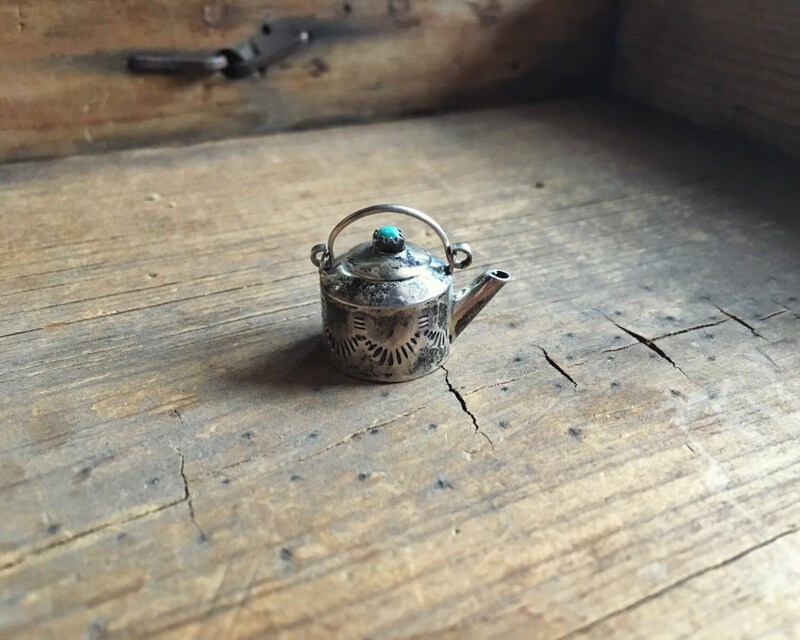 Here we have an absolutely adorable tiny kettle by Navajo artist Elizabeth Whitman. 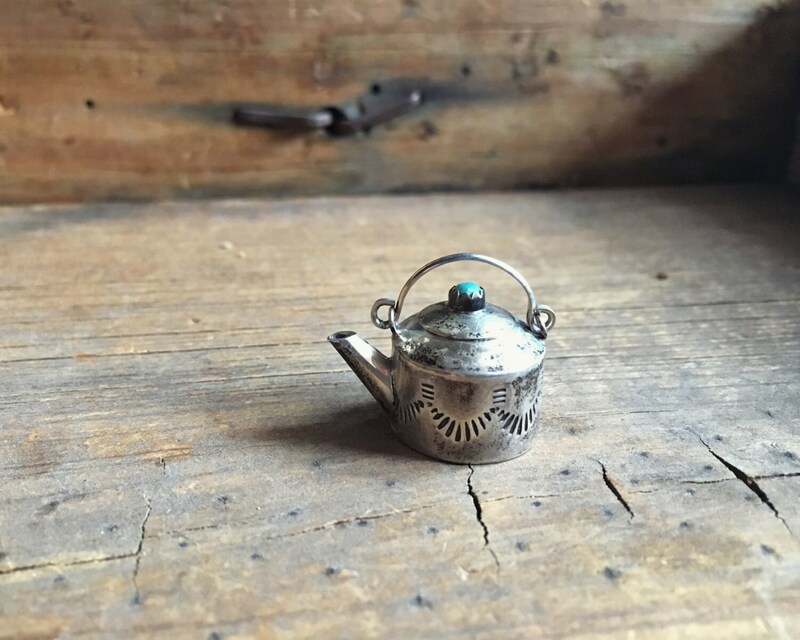 Whitman and her son Wesley are known for these sterling silver miniatures, entirely handmade with hand stamping. 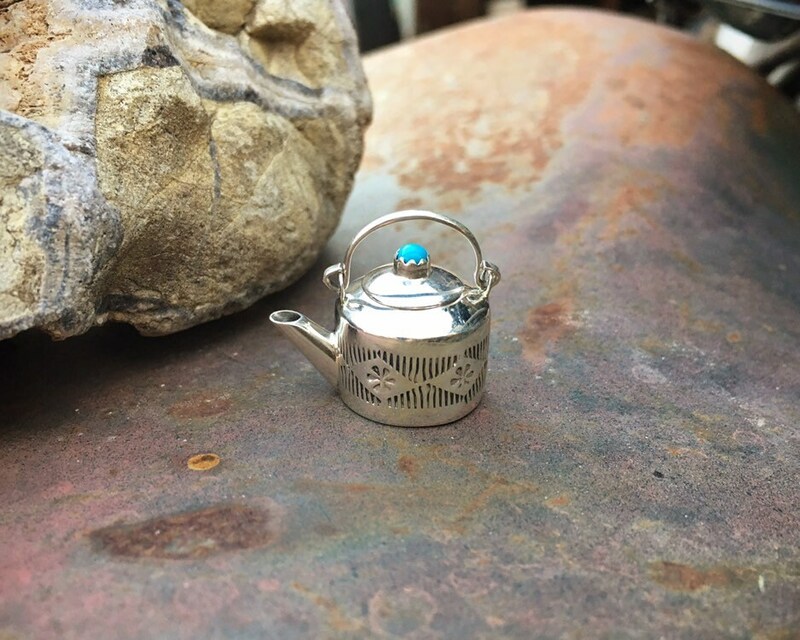 This kettle has a turquoise cabochon in the lid, which comes off. 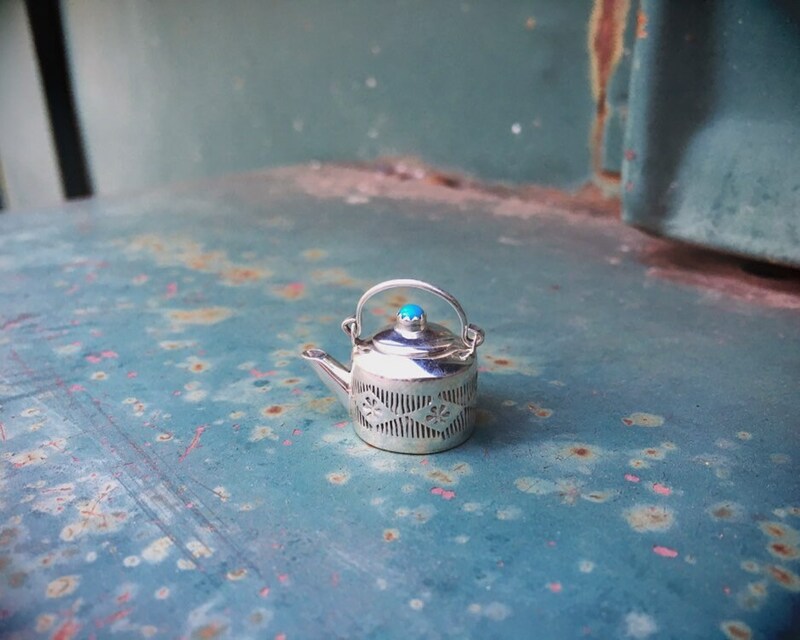 Use as a pendant or charm, or display with other miniatures. 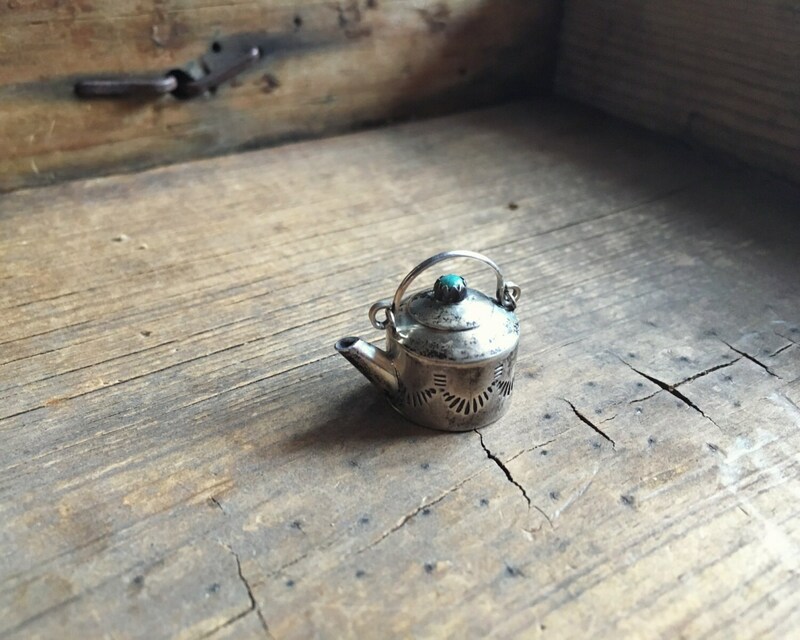 The teapots, coffee pots, and kettles have become increasingly hard to find, but I have collected almost an entire tea service. 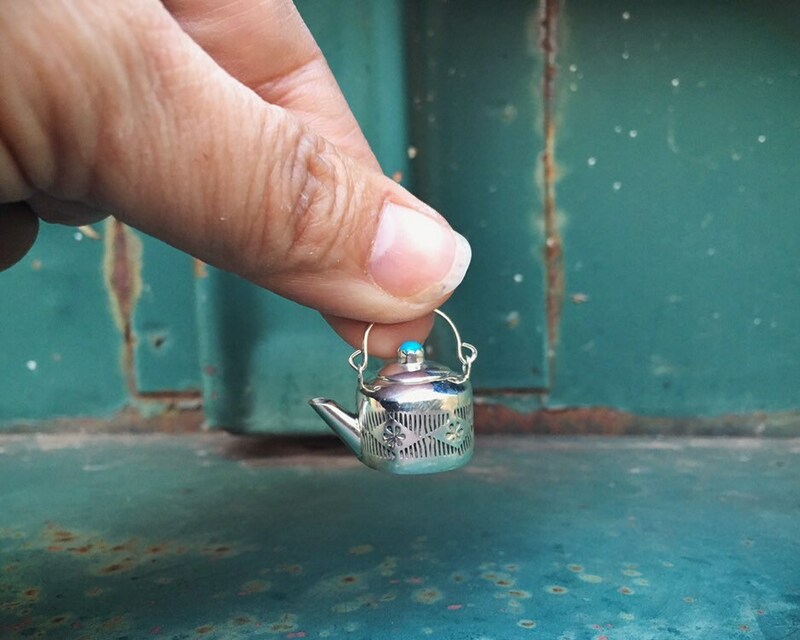 The tiny kettle measures about 1" across, has a base about 5/8" in diameter, and stands only about 3/4" tall. 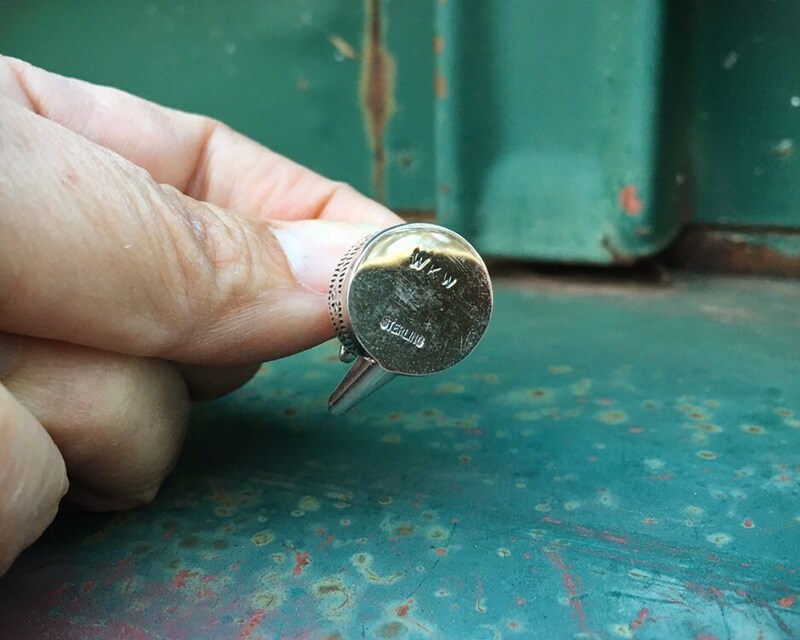 This is truly a small piece! 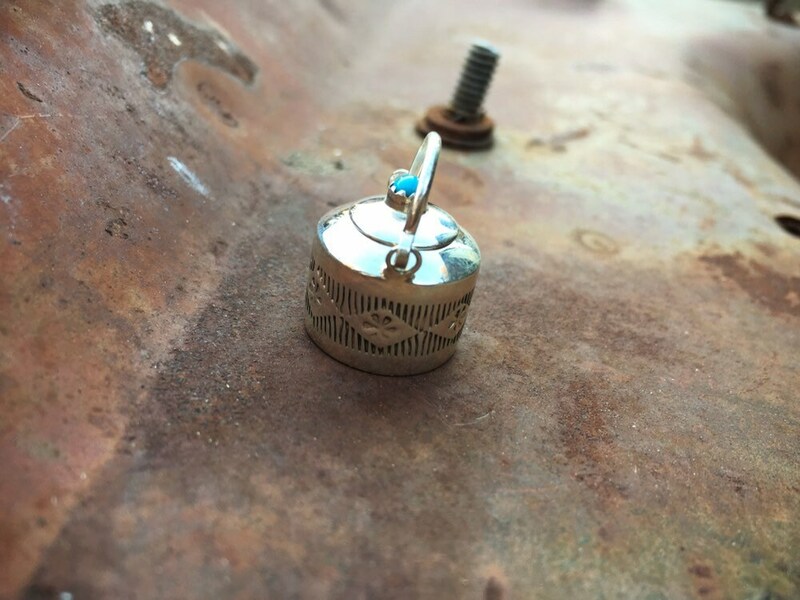 Carries artist's hallmark EMW on bottom, and STERLING. In good vintage condition.